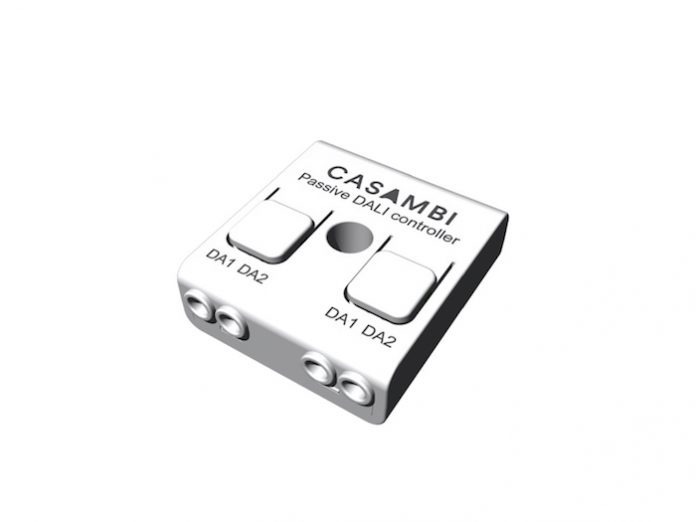 (Finland) – CBU-DCS is a Bluetooth controllable, Casambi enabled DALI controller that is powered directly from a DALI bus. The controller can be used with a DALI sensor for presence detection or daylight harvesting, or it can be used for controlling DALI drivers that have an integrated DALI bus power supply. It is controlled using the Casambi app which can be downloaded free of charge from the Apple App Store or Google Play Store. Casambi products can be used from either a simple one luminaire direct control or a complete and full featured lighting control system where up to 127 units can form an intelligent mesh network.